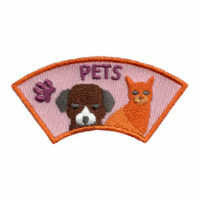 This Pet Advocate Service Patch is part of our “Advocate” level patches. This level of our patch program provides an opportunity for achievers to reach out into their community to get others involved. 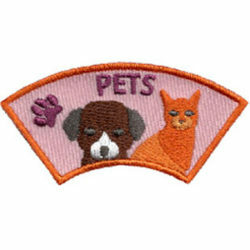 Program organizers can give these patches for recognition or they can be earned by completing requirements one to four below. This level is best for teens to adults and for younger children to complete with a parent or mentor. 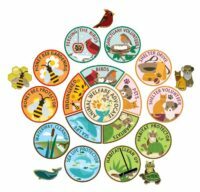 It is a natural progression from our “Volunteer” level patches, for troops of teen scouts and teen youth groups as well as individual teens and adults. 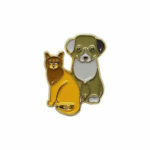 Generally, our Pet Advocate Patch can be earned in four to eight hours but consider making a regular commitment to advocate for pets. 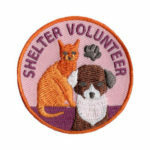 Completing the Animal Shelter Volunteer Patch Program is a suggested prerequisite for earning your Pet Welfare Advocate Patch. 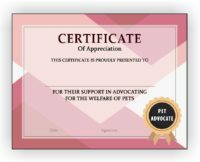 Your volunteer experience will provide you with the knowledge and skills you need to advocate for pets. You can also opt to complete the volunteer requirements during your advocacy project. People own pets for a variety of reasons. They provide love and companionship, can help with anxiety and depression and can even help people socialize more and make more friends. But sometimes pets are not properly cared for and they need our assistance. Choose a pet issue to advocate for. 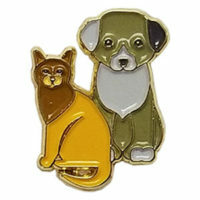 Get more volunteers for an animal shelter. Educate about proper pet care. Educate about the benefits of pet adoption. Get community support for a cat colony. 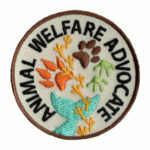 Once you’ve earned this patch you may want to earn our Pet Welfare Delegate Pin.